Liberty Classics Corvette Rotating Pub Light 91495 - California Car Cover Co. 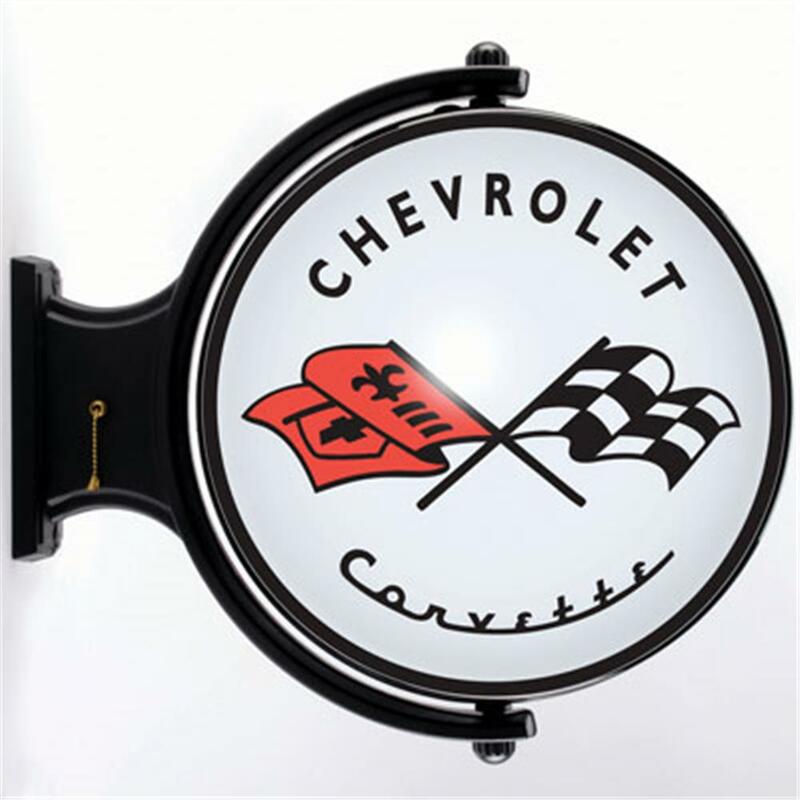 This cool Corvette wall-mounted light is solid plastic construction and rotates nonstop to display colorful graphics on both sides of the 19" diameter globe. The pull-chain activates four positions of on/off mode. Officially licensed with Corvette graphics, this UL approved revolving wall light includes a 96" cord with 110v plug and easy-mount hardware. Overall measurements are 23" x 21" x 8"